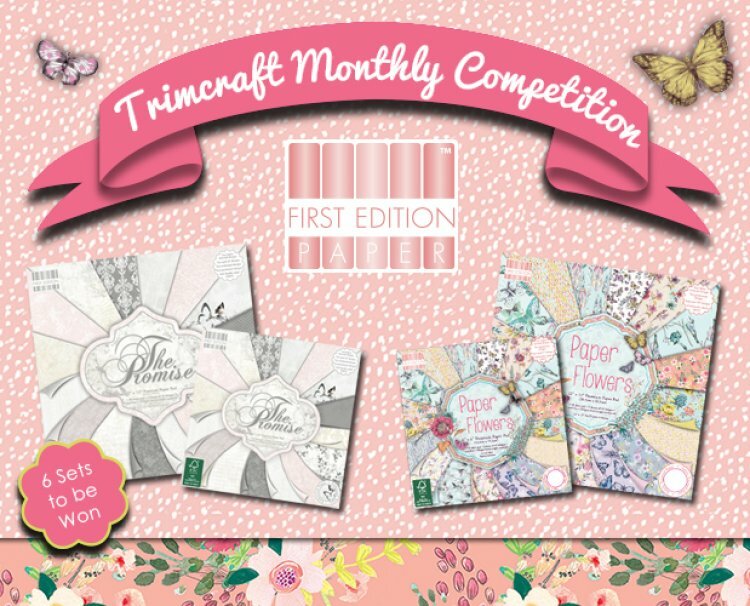 The gorgeous designs from the First Edition Paper Flowers & The Promise have been getting so many compliments so we thought you would like the chance to win the premium paper pads in our monthly competition giveaway. Be enchanted by The Promise’s beautiful patterns of florals, lace and damask repeated designs, great for some many occasions. Paper Flower’s paper pads feature a delightful array of delicate butterflies and floral blooms with a contemporary colour palette, perfect for a Spring papercraft project. All you have to do is log in and click the enter button above. We will pick the winners on the 1st May 2015, good luck to everyone!